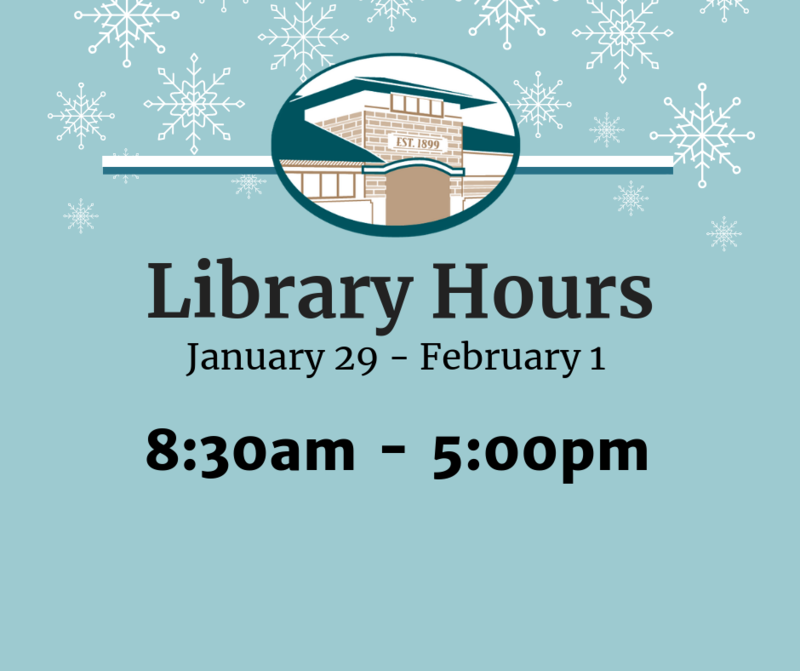 Out of concern for the safety of our staff and patrons during this frigid weather the library will close at 5pm today and be open 8:30am to 5pm through Friday. Holds have been extended. Please contact us if you need to renew materials.